Master & Dynamic over-ear Bluetooth® wireless headphones help you to tune into your work while tuning out ambient noiseuntethered. 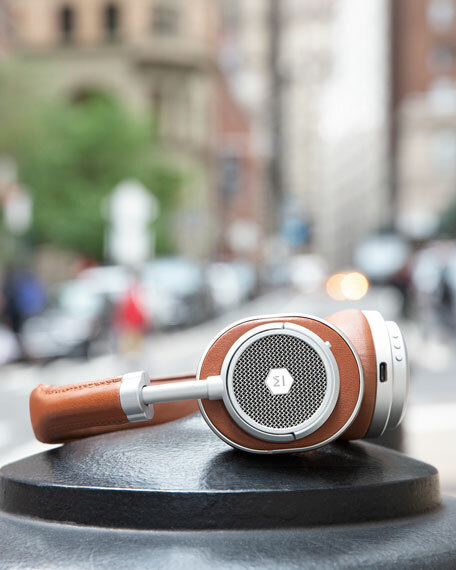 Forged aluminum body with grained leather, stainless steel components, and beryllium drivers. Exposed all-aluminum machined antenna offers best-in-class signal range while contributing to distinctive design. Bluetooth® 4.1 with aptX high-quality audio. May also be worn "wired"includes detachable 1.25m (49") Standard Cable. Headphone connection: 3.5mm Passive Audio input USB-C for charging/firmware updates. 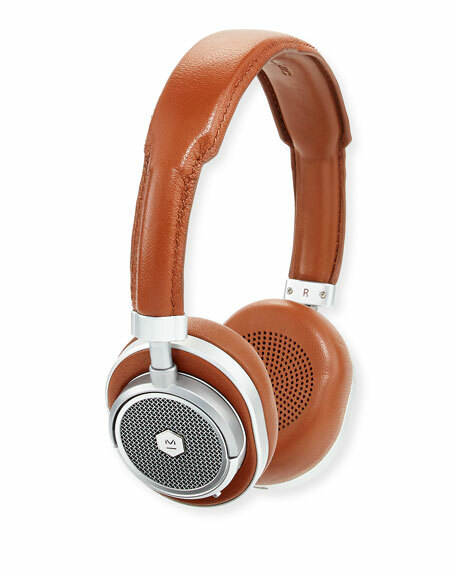 Soft lamb leather-wrapped ear pads with detachable memory foam. Omnidirectional, noise-isolating microphone for clarity. Passive audio available when wireless disabled. 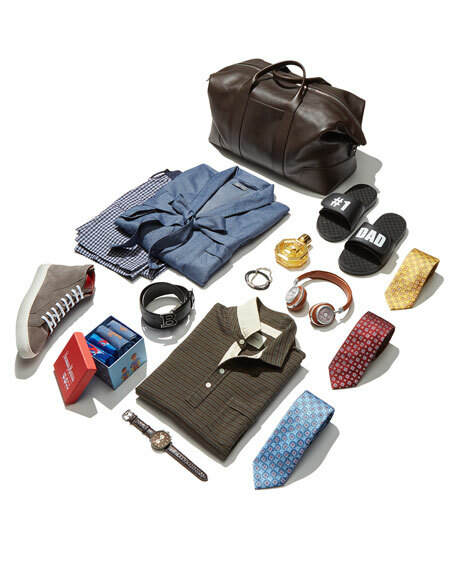 Also includes: canvas headphone pouch, USB-C charging cable, and leather cable box. Weight: Approx. 8.5 oz. (240g). Master & Dynamic headphones are designed to be modern thinking caps: tools to help focus, inspire, and transport your mind. Each is built with only the finest materialsand tuned to provide a warm, rich sound. Designed for decades of use, they make an elegant yet everyday addition to your desk, studio, home, and beyond. Shinola x Disney Mickey Classics Collection medium journal cover. Embossed Mickey in a relaxed posed, as created by Disney artist Jeff Shelly. Interior, tablet/journal pockets; 5 card pockets. Approx. 8.75"H x 6"W. Bovine leather. Made in USA.